Dr. Tiffany Ong is a board certified optometrist with full accreditation, including DPA & TPA licensing. In addition, she is DEA licensed to prescribe medications for various ocular diseases. 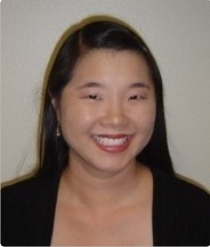 Dr. Ong received a Bachelor of Science in microbiology and molecular genetics from the University of California in Los Angeles and was a member of the Golden Key National Honor Society. Dr. Ong received her Doctor of Optometry degree from the Southern California College of Optometry. Her clinical rotations included Veteran's Hospital of West Los Angeles, Optometric Center of Los Angeles, Veterans Hospital Ambulatory Care Clinic of Los Angeles, Eye Care Clinic in Fullerton, and the Laser Center in Newport Beach. Dr. Ong is also a member of the South Bay Optometric Society, the California Optometric Society, the American Optometric Association, and the Contact Lens and Cornea Section of the American Optometric Association. Dr. Ong is dedicated to providing personal, attentive, and quality care to patients of all ages. Dr. Ong currently lives with her husband Aaron in Torrance.